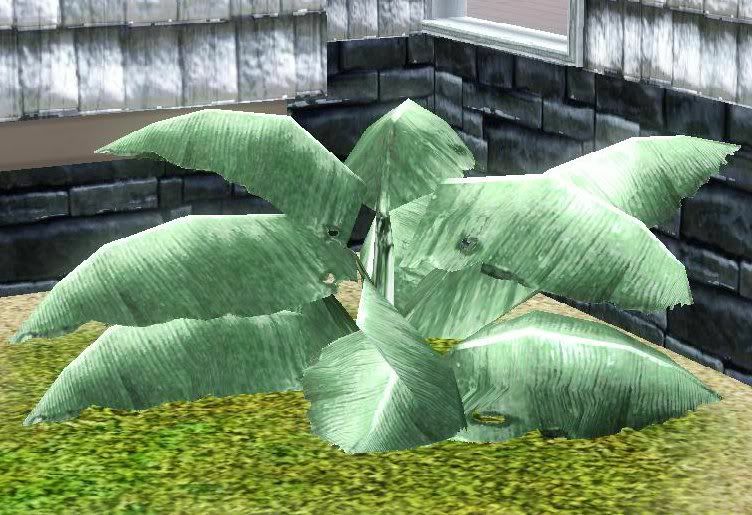 This is the Sims 3 version of my recent unpotted nana tree from Sims 2 Bon Voyage. 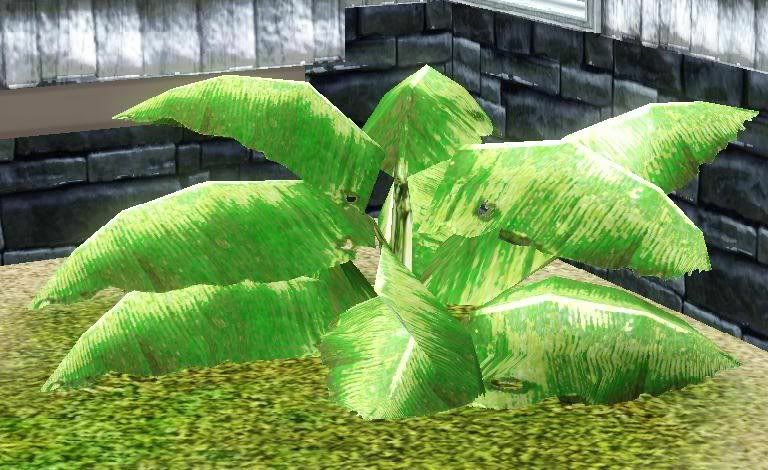 It is NOT animated (because I don't make near enough to get that confounded speedtree needed for editing TS3 plants) but it is fully CASTable with 3 channels. 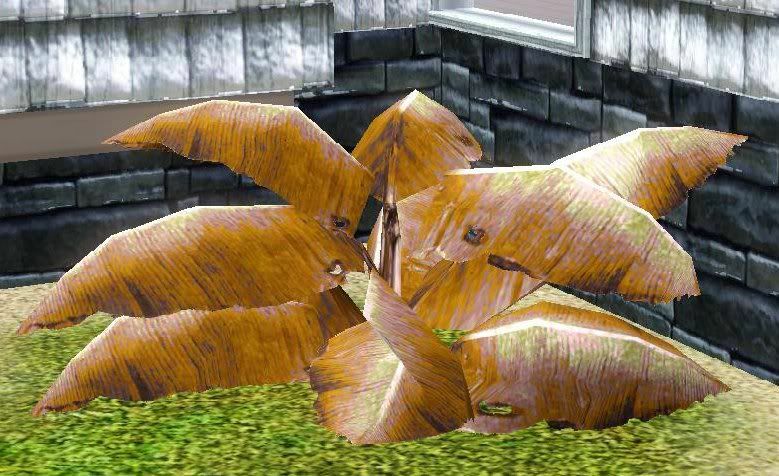 It's found under build mode/shrubs. 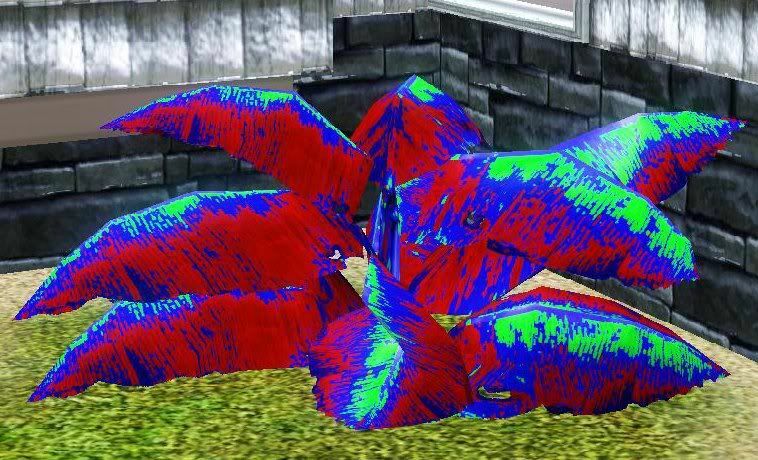 There are three default color/pattern choices which are shown below along with the raw RGB control texture applied in game. Enjoy!